I’m in the middle of reading Muriel Barbary’s The Elegance of the Hedgehog which I’m lovin’, lovin’, lovin’. It’s such a cool and beautifully written book and I’m taking my time reading it. 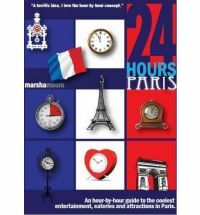 In the meantime, I’ve booked a short trip to the beautiful city at the beginning of August with my parents and thought this book would be useful: 24 Hours Paris by Marsha Moore which I was lucky enough to win from Me And My Big Mouth. Our family’s been in love with Paris since before we were born so we’re pretty au fait with the place, but it doesn’t hurt to find new places to go, right? It’s a pretty nifty guide divided by hour, and believe me, there are tonnes of things to do 24/7. One place I’ve got my eye on is the Albert Kahn Museum. I saw a documentary about him and his photographers who have amassed a huge collection of autochromes from around the world in the early 20th century. You see long forgotten people and cultures in COLOUR and they are beautiful. And we’ll be stopping by for a Grand Marnier soufflé at Le Soufflé. Yum. 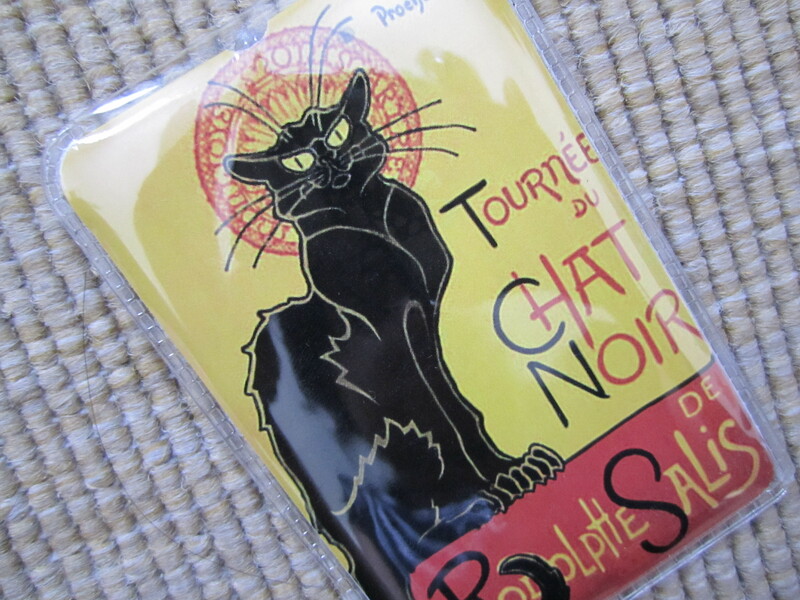 And I’ve saved the best for last: thank you BookBath and Thyme for Tea for the Tournée du Chat Noir torch light which I won for Paris in July. It’s amazingly stylish and will be very useful! Oh, the torchlight looks beautiful! I know I have to read the Elegance of the Hedgehog soon, so many people have loved it. I hope you have fun in Paris, although I’m sure I’ll see you around on the blog before you go. It’s a book to savour! I’ve never had a torch card before so it’s really exciting! Glad you’re loving Elegance of the Hedgehog too – isn’t it wonderful? …especially with two young girls in tow! Jealous! My brother’s in Paris right now. If he doesn’t buy me nice books at Shakespeare & Co. I’ll have to disown him. The Book Whisperer: Oh I am going to make sure I go to Shakespeare & Co this time. Last time we got there just as the shop closed:( ‘The Elegance of the Hedgehog’ is hysterical! Tony: Just wait until they grow up! They will love it! Colleen: Absolutely! I’m impressed he even knows about the place. So glad the torch made it all that way… now, to get myself into that hemisphere isn’t quite that easy. I’m so jealous about a ‘short trip’ to Paris – when we plan trips from Australia they have to be long trips cos it takes so long to get there. However, I am planning next years france trip, so thanks for these links – le Souffle is now on my list! Great! I have a friend in Australia that I’ve been meaning to visit for ages but it’s daunting to organise everything… When you go to Le Souffle, make sure you don’t order 3 courses of souffles because they are huge. I particularly liked the grand marnier one but I have a very sweet and boozy tooth. Thank you so much for reading my book! 🙂 I’m so glad you found it useful. It was a pleasure. And what a great idea for a book – 24 hours! 24 Hours Paris is awesome. I love Chat Noir. When I visited, I got a tank top and magnet with that picture. It’s such a stylish picture, isn’t it? I loved Elegance of The Hedgehog, too. You don’t find such an exceptional vocabulary very often, nor such wonderful characters who flaunt tradition (my favorite kind). Congratulations on your Chat Noir, what fun! « chasing bawa is 1 today!